Many of you have probably seen the big Fuel Ministries rig at the GNCCs. Some of you may have even stopped by. But I’m betting at least some of you don’t know that one of their major programs is a summer camp for kids who ride dirt bikes and ATVs. The ATV camp is a relatively new endeavor, and one of the major players involved, Dave Childers, contacted me and asked if I would be interested in doing an interview with him to talk about it. I was intrigued by the whole summer camp thing, and interested in what he had to say, so I agreed. Hopefully you all will be interested as well. GNCCRacing.com: Alright, I’ve got my phone all set up to record the interview, ready when you are Dave. Dave Childers: I think I’m good. My full-time job is real-estate, and I sometimes get asked to do podcasts and the like. So I’m used to answering questions live, but now answering questions about racing might be a whole different thing. Well, if you can answer questions about real estate and make it sound really interesting, I’m sure you’ll do just fine with racing! Yeah, real estate can get boring at times. It’s always funny going to conferences and stuff like that. There’s all these guys in suits and ties that play golf or something, and then I’ll be telling them all about my weekend at the track. (laughs) So my two worlds are pretty different, but it’s good to have some variety in your life. That’s true. So how did you get started working with Fuel Ministries? I met Mark Nichols, who is the president of the nonprofit, through Chuck Lemaster. He would serve as the preacher at the dirt bike camp they put on, and I knew him well from racing. It was about three years ago that I approached Mark and asked why they don’t do a similar camp for ATVs. I race 4-wheelers, and my son was just starting to ride the Micro events at the GNCCs. He kind of blew me off a little bit at first, said we aren’t really interested in doing that right now. It was kind of disappointing, I really just wanted a place for my son to go have a Christian camp experience while getting to ride as well - which was the whole purpose of starting the Fuel Ministries Bike camp in the first place. Mark does a similar thing as Chuck, he takes a rig to some of the races. As it turns out, not long after we had talked he actually had quite a few people come up and ask him about the camps, and asking if they did one for ATVs. After all the interest in it, he called me back and said that he thought I might have been on to something, and that he wanted to start a 4-wheeler camp to complement the dirt bike camp. And the rest was history? Not quite. Our first year, back in 2016, he decided to just give it a trial run and see how things worked out. 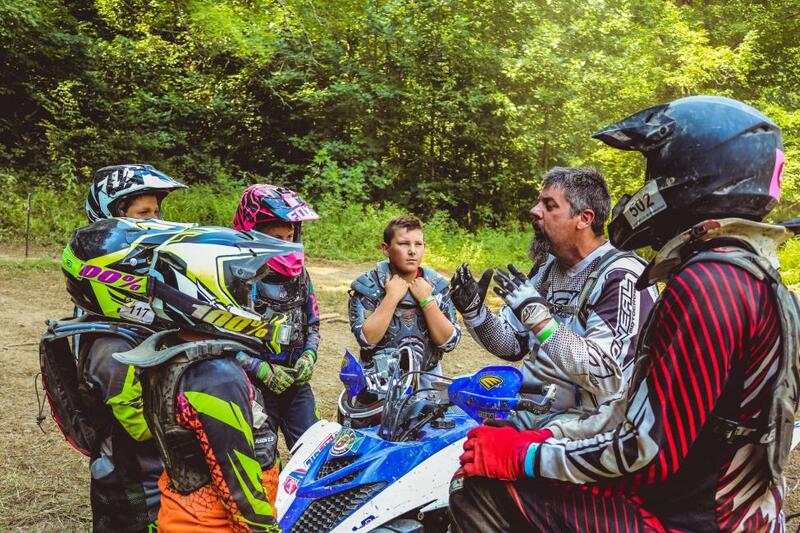 The idea was to get about fifteen kids on ATVs come to the dirt bike camp, and just be careful to keep everybody separate when they were riding. 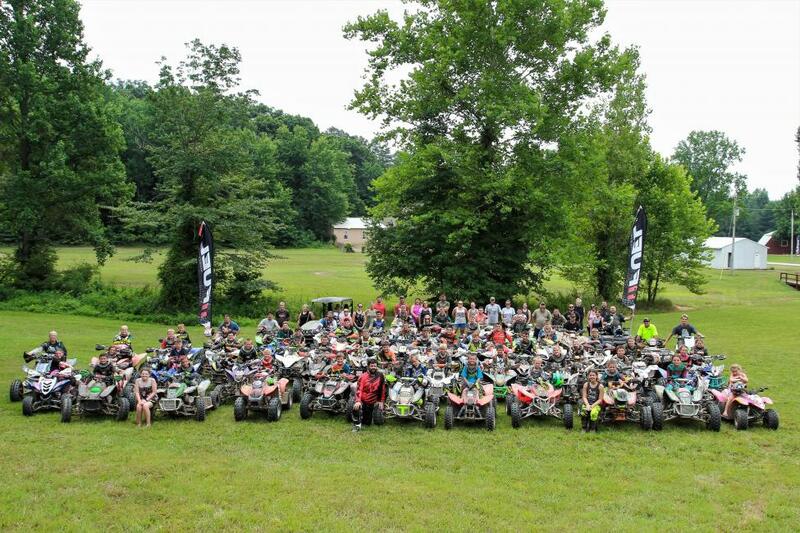 The dirt bike camp usually has between 80-90 riders, so 15 extra people wasn’t that many more. So we got the word out, and we actually somehow got Walker Fowler to instruct. I’m not entirely sure how that happened, I think Chuck might have gotten in touch with his mom, Vickie, but anyway, he volunteered to help us out. Anyway, it went great, and when people left, they were like “man that was awesome, can we have our own week?” So last year was actually our first full week-long summer camp on our own. We had 44 campers and quite a few instructors - Devon Feehan, Drew Landers, Walker Fowler and some other instructors there helping. There were a ton of other volunteers too - you have to have people to cook in the kitchen, trailmasters, people refilling water bottles, all sorts different stuff. 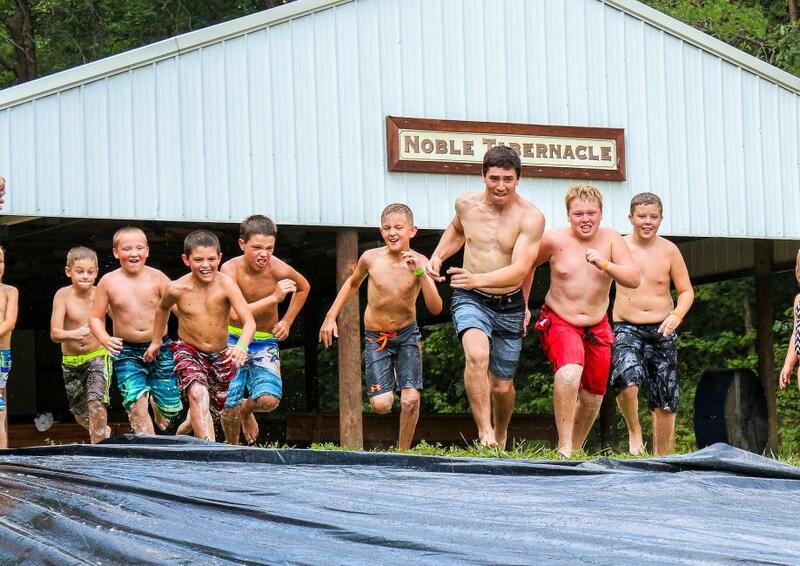 We had about 35 people working the ATV camp last year, and every one of us always had something to do. Well fast-forwarding to now, we’re approaching year number three. We’re hoping to have at least 60 campers. So we went from 15 to 44 and now the goal is to reach 60. Can you tell me a little bit more about the backstory of Fuel Ministries? Did it start out primarily as a summer camp and grow out from there, or was it something else entirely? Oh yeah? Please do tell. 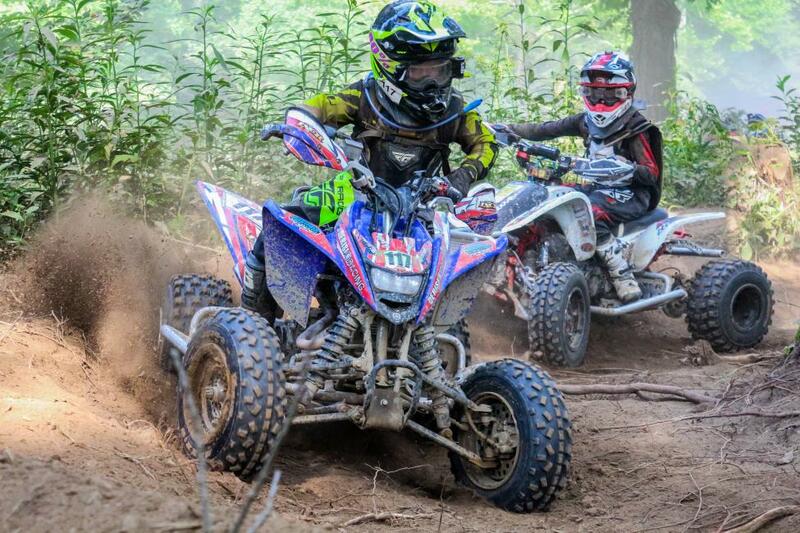 Well, he made a CD of pictures from our ATV camp and was going to give out copies at Ironman. So he sends me the little sticker that he was going to put on all of them. He wanted to show me the design, and in his excitement explained that he had already printed off 500 copies. He thought he had put a picture of Walker on it... but it actually ended up putting a picture of the ATV Motocross champion on it instead. So that weekend I had to go up to Walker, and be like “hey, so don’t take this the wrong way, but you’re going to be seeing a lot of pictures of Chad Weinen with your name floating around this week…” (laughs). So after that, Mark decided that anything 4-wheeler related he needs to run by me first. Does the bulk of the work you do for the summer camp actually take place during the camp, or is a year-round volunteering opportunity for you? Planning the summer camp is a pretty involved process. I spend a couple of hours a week working on the camp, whether that is talking to volunteers of what have you. I speak usually on a weekly basis with my instructors to get their feedback when planning the camp. Besides all the instructors, we have to find a ton of volunteers. We probably have 20 to 30. Trying to find the right people who want to be a part of this is often a challenge. It’s by no means a full time job, but altogether it takes up quite a bit of time throughout the year. And then the week of camp of course, I’ll be down in Indiana helping it go smoothly. It’s probably 60-70 hours a week. That does sound like a lot! Can you give me an overview of how the camp works? We divide the kids into “huddles,” based on age group and ability. For the 4-wheelers, we had a group four male huddles and then one female huddle as well, as we actually had five or six girls that came to camp. When we ride though, we will intermingle the girls into the boy huddles, since there was a pretty broad age range there. We call the different areas the kids will ride in “zones.” One might be a hill-climb zone, or a grass track zone and so on. We usually have about seven of them. The kids move in groups from zone to zone. So they might go and do the hill climbs for an hour and then they’ll go into a different area. So it’s not like everybody just jumps on their machine and goes free-riding for the week, we try to keep it a little more structured than that. Which is good, because it allows a lot of one-on-one attention from the instructors. So the pro will actually watch the kids ride through the section, and describe how to do it better. When it’s all said and done, the kids will get about 15 hours of instruction time with these pros. Which is quite a bit of riding time over the course of a week. We are a Christian camp, so in addition to the riding we of course spend time talking about God and the role he plays in our lives. Plus we do some more traditional camp activities as well - there’s a lake with a water trampoline, we play camp games, there’s music. It really is a camp experience, just that the main activity is riding. I agree with you for sure. That’s a lot of seat time, especially for a little kid. Yeah, it’s impressive! 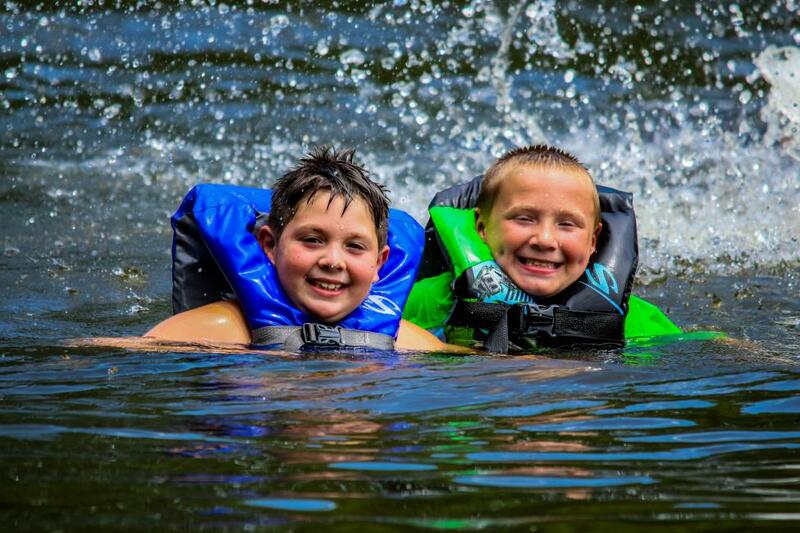 You’ve got a 7 or 8 year old kid wearing full riding gear on a 50cc, in the Louisville, Kentucky area, where it can get up to like 90 degrees that time of year... We have to be really careful to manage their fluids and make sure they are getting off to take plenty of breaks. It definitely wears on you trying to manage that many young people! Yeah, I bet after a week you guys are all pretty beat. For sure! I talk to people in my real job about this sometimes and they look at me like I’m nuts; I take a whole week off so that I can be tired and dirty and run around after a bunch of kids of 4-wheelers all day. But all of us love this! Speaking of the real job, can you tell me a little bit about your job and your own background? Yeah, I own apartment buildings all over the Nashville, Tennessee area, as well as a brokerage firm that specializes in apartments. I’ve been pretty successful, which has given me the flexibility to go most of the GNCCs and to contribute my time to Fuel Ministries. I race in the 35+ C class. I’m the slow guy who just wants to get out there and have fun racing. I bring the family along in the motorhome, although my wife doesn’t enjoy it quite as much as I do (laughs). She puts up with it though, and my son has started racing in the micros. He likes to ride for sure, but he still isn’t sure about the racing stuff yet. But as long as he enjoys suiting up and going riding with me, I’m happy that we have something special that we can do together. That’s all I care about. Yeah, enjoying the sport is definitely the important part. Yes, and I love the people involved in it. It really means a lot to me to walk around the line at the 8am race and see all these campers I’ve worked with, and it’s incredible seeing them grow and succeed though racing. Is there anything I haven’t covered so far that you would like to talk about? 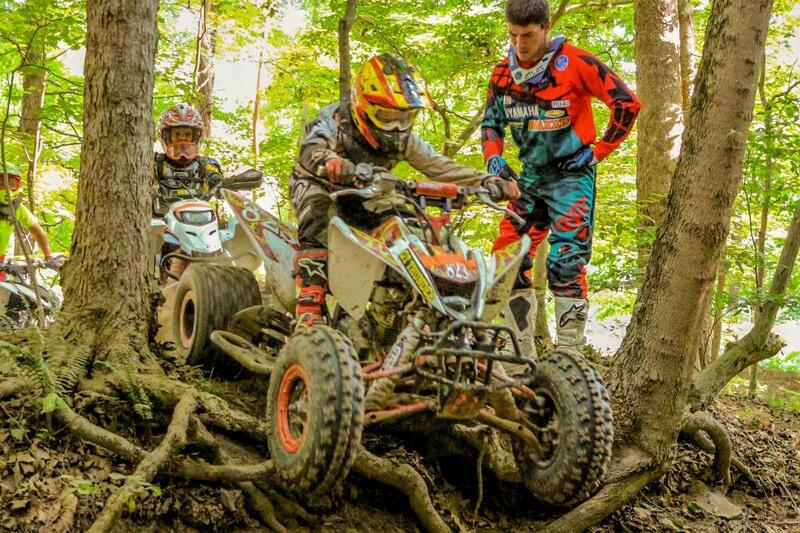 Yeah, we are always looking for volunteers to help out on both the dirt bike and the ATV side. The only way we are able to do this is because of the volunteers who dedicate their time and energy toward helping us. We could not do this without them. 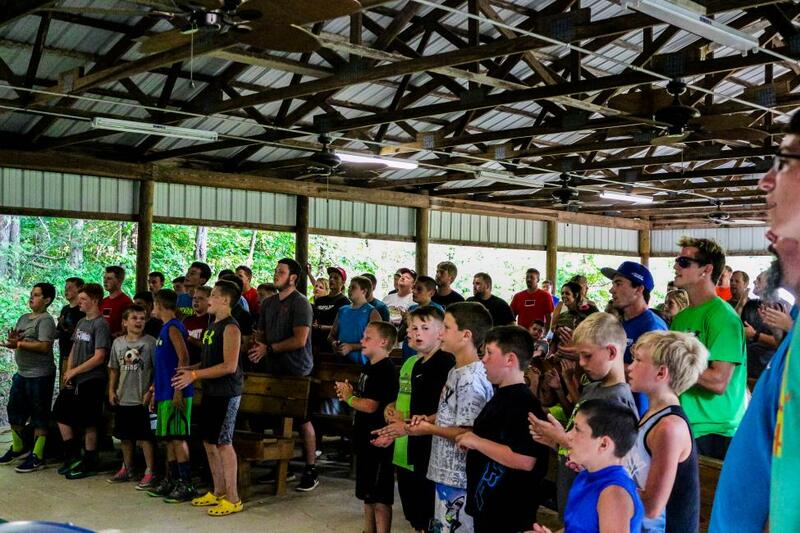 We are a Christian camp, and this is a Christian organization, and seeing the kids baptized at camp and learning about the bible is very meaningful for a lot of us. 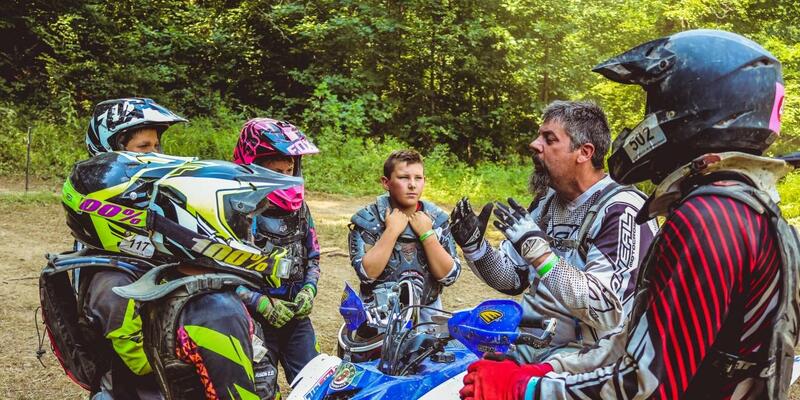 We are happy to be able to give these kids a great camping experience, and it’s good to feel like we’re supporting the sport, which does struggle a bit on the ATV side by helping to inspire this next generation of riders. But back to what I was saying before, we are always in need of volunteers, so if anyone out there wants to help, please don’t hesitate to hit me up at [email protected] We someday hope to grow the camp and have more of them spread throughout the United States. If anyone is interested in sending their kids to ATV camp or volunteering, there’s a promotional video HERE and you can visit the website HERE.